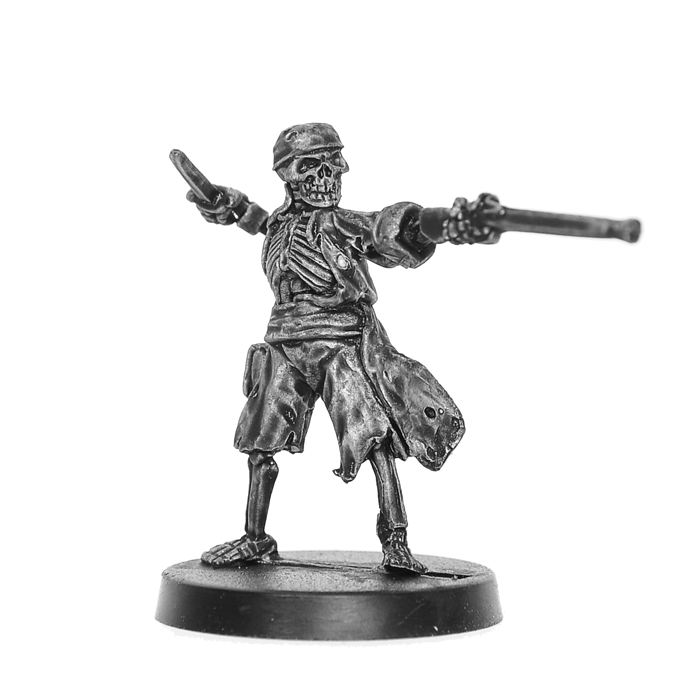 28mm metal miniature of a skeleton pirate. 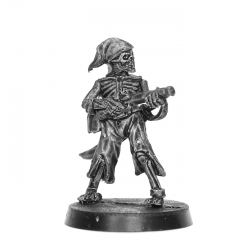 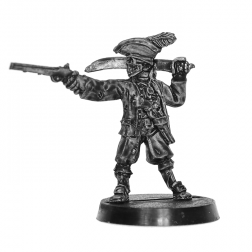 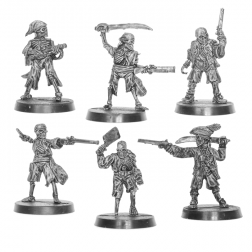 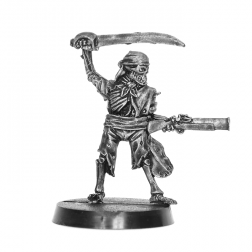 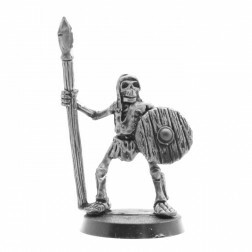 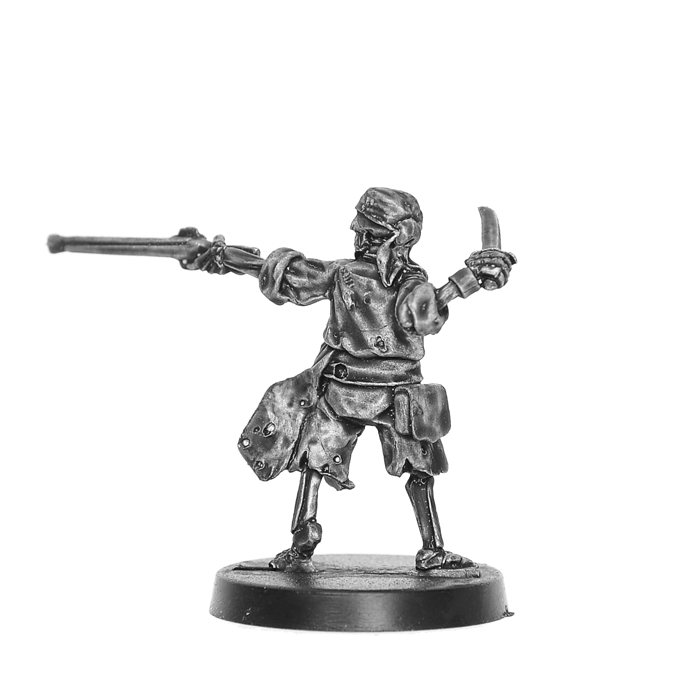 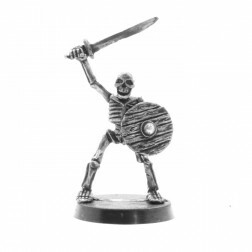 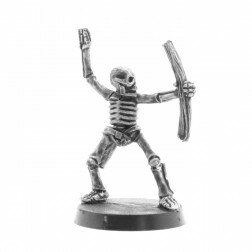 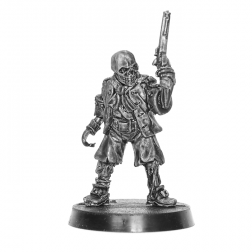 Thomas Mauler, 28mm miniature of a skeleton pirate with sword in white metal (contains lead), ideal for fantasy roleplaying and miniatures games. 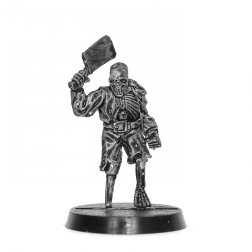 Miniature sold unpainted and with no base.